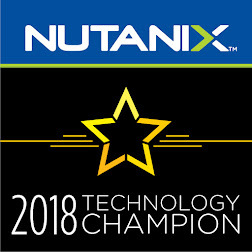 Nutanix Xtract provides a simple method for businesses to migrate existing VMs & Databases from VMware ESXi clusters to Nutanix Enterprise Cloud OS. Xtract for VMs has been designed for all workload types, providing an efficient method to onboard a large number of VMs very simply and quickly. Its architecture is designed with performance and efficiency in mind, and starts with a deployed virtual appliance. IT admins follow a 3-step process in the Xtract administrator console to configure and run migrations. Where Xtract for VMs takes a “lift and shift” approach to migration, Xtract for DBs, operates at an application-level to handle the migration, and importantly, transformation of Microsoft SQL Server databases.From the initial discovery and scans of SQL Server environments, performance and configuration information is used in-conjunction with Nutanix best practises to create a design template. Xtract uses this template to create a new SQL Server deployment on Nutanix, migrating only the data within the databases into the newly created VM. The application of Nutanix best practices ensures the database instance is right-sized during the process.